A range of equipment to suit International standard as well as indoor games and post maintenance. 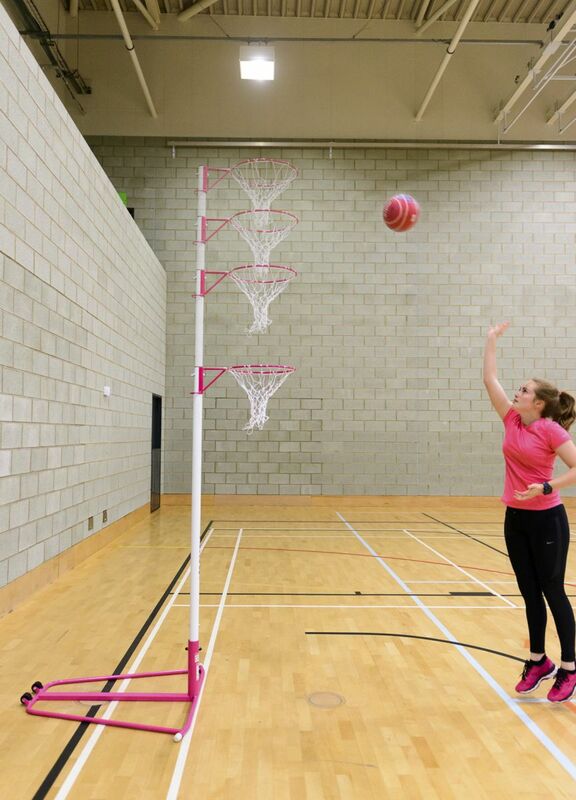 Our equipment is used by the England Netball team. Specification as per the Socketed International Posts. Designed to conform to England Netball regulations and the ideal freestanding option for school use. Same specification as the socketed international posts. The ideal solution for netball specific venues that cannot install ground sockets. Same specification as the NB1AR but fitted with 10mm solid steel rings. Same specification as the NB3R but fitted with 10mm solid steel rings. Same specifiaction as NB3R but with Pink base, white post and Pink ring.